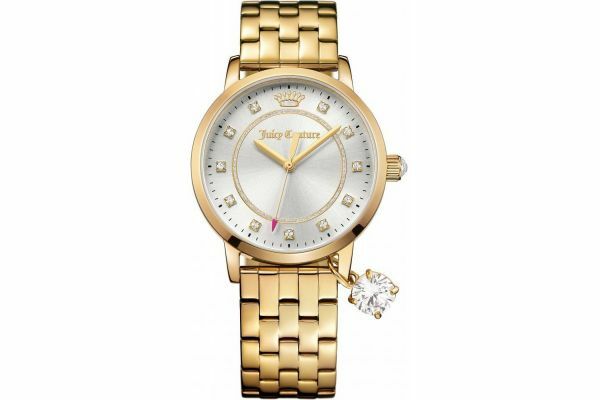 This Juicy Couture ladies watch is a beautiful dress watch. The bracelet and case are gold plated and feature a small stone attached to the case lug for extra glamour. The dial also features stones in the numeral marker positions set on an easy to read dial. This watch is battery powered and comes with a 2 year guarantee. For us to size your new Juicy Couture Socialite watch as accurately as possible, please take a look at our downloadable Watch Sizing Guide.